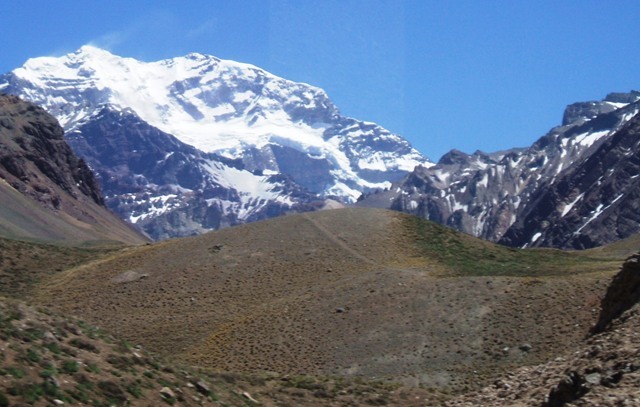 Aconcagua, highest point in the Western Hemisphere as seen from Libertadores Pass. A previous post, Announcing the Six Monthers, describes our desire to move to a new location every six months. This lifestyle gives us time to acquaint ourselves with the local culture and discover places and things that are off the beaten path. This is how we did it. 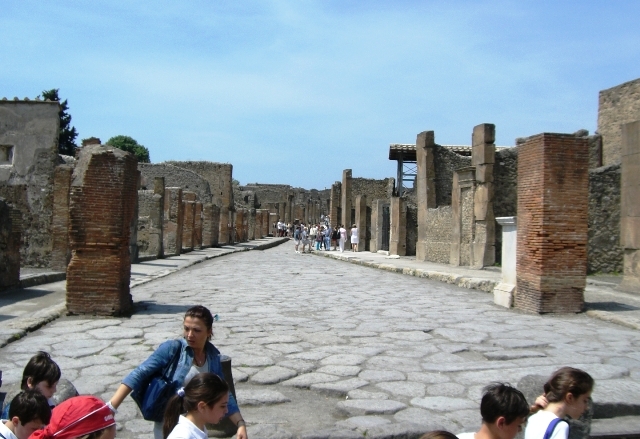 The ancient city of Pompeii near Naples, Italy. First, we have no debt. All credit card balances are paid off every month. Next, we downsized. This was the most significant challenge, and sentimental value cannot be casually dismissed. Take the time to enjoy the things you have. Then ask yourself if you want to pack them with you. We made a rule. If we boxed up stuff and we did not reopen the box within a year, we did not need it. Whatever you do, do not purchase storage space because the cost of storage will soon be greater than the value of your stuff. Selva Negra Eco-Lodge and coffee farm in Nicaragua. We are not wealthy by any means. In fact, when we first decided to move outside the United States it was because we could not afford to live most places in the States on my retirement income. Florence will not be eligible to retire for another ten years, and she would have to work full-time for us to afford living in the States, especially given the cost of health care. That still leaves many countries where we can live comfortably on my $1,500/month Social Security check. Any country where rent and utilities cost under $800/month is within our means, including Mexico where we live now, and Florence works only if she so chooses. The fun part is deciding where to live. As you consider your options, you should also plan how to adapt to your new lifestyle. Do you need to learn a new language? If so, it is not too soon to start studying. Is hot water a luxury or a necessity? We lived in Panama for $300/month with hot water only in the shower. We saved a lot of money, but it got old after awhile. The key is to live within your means and to adapt your lifestyle to your income. This is not a vacation. This is the part of your life you will spend seeing the world, so pace yourself. Have fun making plans. Also, be flexible and change your plans should you discover better options along the way. Perhaps most important of all, be on excellent terms with your significant other. 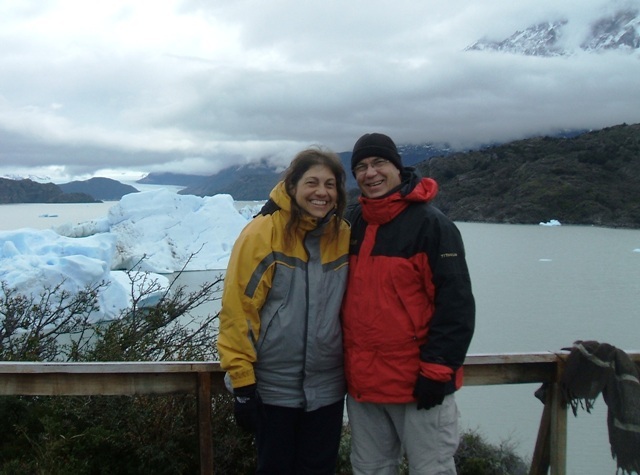 Traveling abroad is not couples therapy. If you think this goes without saying, let me ask this. When was the last time you and your significant other shared a confined space while it rained for several days in a row? Do you still make each other laugh? If you would have told me two years ago I would be moving every six months, I would have laughed at the thought of it. I did not even have a passport two years ago! All I am saying is if I can do it so can you. Good luck and buen viaje! 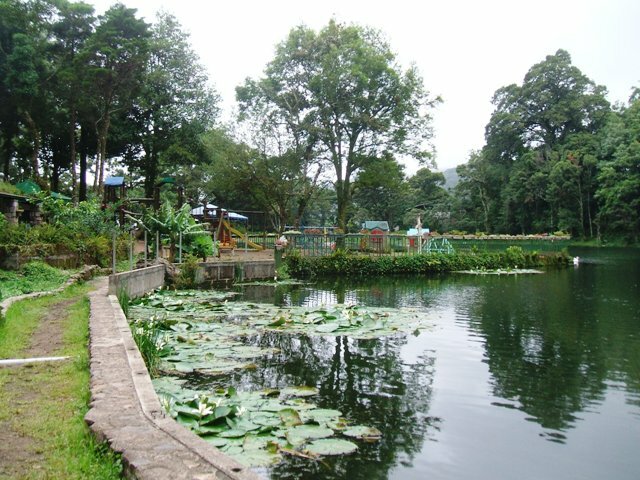 This entry was posted in Retirement, Travel, My Life and tagged Cuernavaca, Expat, Global Explorer Club, Lince, Lince's Leisure Vacations, living abroad, Mexico, Panama, Six Monthers, Travel. I’m in awe of your adventurous spirit ~ it’s inspiring! Thank you for saying so. I hope others who might only have dreamed of travel might one day make that a reality. At one time in my youth I was very nomadic. I am somewhat that now. But living out of a backpack so to speak, that is a dream come true. Perhaps one day, but for now this gringa will explore her beloved island, maybe live a little here and a little there. One small island many experiences. And I enjoy your story, your perspective, and your comments. Thanks! While I didn’t mind dealing with only hot water on-demand showers, Florence found cold water-only dishwashing and laundry wore on her, so we moved up in style a bit with our most recent move. And you are right in that not everyone is cut out for this lifestyle. I know some relationships have broken up amid the attempt to relocate abroad. But you didn’t really say how you financed this lifestyle. I was interested in hearing how you’ve invested your $ because living on $1500/month isn’t going to cut it for most of us. But Bruce, we are living on $1,500/month. Our rent is currently under $700 including utilities (w/ internet). We have a deck, a garden sitting area, and we share a pool with three other people. That leaves food, entertainment, sightseeing trips and misc. expenses (medical, clothing, footwear, etc.) for roughly $400. Any difference is saved toward moving costs every six months. If you think that budget doesn’t cut it, you have to ask yourself what it is that costs more. As I stated in the blog, there are many countries where $1,500/month is affordable, and in some cases that is as much as double what local families live on. However, there are some countries where that is not possible. Thus my statement, ‘The key is to live within your means and to adapt your lifestyle to your income.’ When Florence retires our increased income will allow us to consider more expensive countries. In the meantime, we live within our means. Our investments are not a part of our budget. I haven’t touched my 401k or pension, and I don’t intend to for many years. Those funds are to take care of us when we get old. Traveling and seeing the world does not mean you need to spend at vacation levels. Downsizing is the key. Frankly, it is the critical step that people find most difficult, if not terrifying! We sold our house, both cars, furniture, appliances, etc. Thus, no mortgage, property taxes, insurance policies or maintenance costs, no pricey cell phone or TV cable bills, and no storage costs. All these things we have found we can live without, and we honestly do not miss them. Now we truly can afford to move about the world at a comfortable pace. I also like the idea of downsizing and remember my days of living on $10-15 a day in Guatemala and Honduras. I don’t want to live like that any more and I know my wife won’t be going for that either! $400 a month in Cuernavaca? That’s a pretty spartan lifestyle I would imagine but certainly doable. Nonetheless, I wish you the happiest of times ahead and will continue to check your blog through Boquete.Ning. What a great blog you have. So glad to have come across it! Thank you. The feeling is mutual! Congratulation making such dream come true!!! I am much younger than you but I dream about the same. Everywhere you can hear that IT/software engineering enables so much flexiblity but I am still struggling with achieving that 😦 I tried to switch my lifestyle to tele-work or ~1year contracts in various parts of the world. It seems that I have been unlucky choosing particular software engineering specialization so now I spend a lot of my time learning mobile development, web, UI designing and I hope that will ultimately enable me to choose flexible life stlyle. Well, otherwise I would never realize my dreams because I have already spend >10 years working in a country which (should) provide me half of your retirement finances. You are verly lucky having spent your working years in a country which is one of the most expensive. Enjoy your life! Best wishes! Your comments underscore how fortunate I am, to have someone with whom I share travel and discovery. Thank you for sharing and good luck pursuing your career and life ambitions. Totally agree about the need to downsize! We have both been retired for nearly 18 months. We spent 6 months in Australia and New Zealand. Not a cheap option, although living in Youth Hostels helped cut costs. Then we returned home and sold up. Although staying in the UK, we moved to rented accommodation, to try out country living. We are now using our funds for the latest project of renovating a house. For me, it is not just the money but the opportunity to experience new things. Love your blog. Good luck and keep enjoying life. I love your outlook on getting the most out of your retirement years. It seems we have much in common. Good luck with your house renovation. It sounds like a great project! This truly seems like a dream and every day must be a new adventure! Truly something to aspire to! Perhaps if travel was compulsory, people would realise they have more similarities than differences and would just get along more. Thank you for making your story public, so others can share in your adventures! Cheers! It’s a shame that so many people would be afraid to do this! Kudos to you both! Part of my future plans as well. :). I think the biggest challenge for most people is to learn a foreign language, and it’s not that difficult. Very inspiring. To think, you didn’t even have a passport two years ago?! Wow. That makes it even more impressive. You two are certainly a team that can adapt to change. I always wanted to travel. However, when you only get three weeks a year vacation and there are children to raise, there is no time. That’s why I wanted to retire early. Thank goodness my wife LOVES to travel and pushed me out the door to file my passport papers. The rest is history! 🙂 Thank you for commenting. Very inspiring blog. Makes me think much more about what retirement might hold. Love the post. Thanks and enjoy. Mike, great post . . . Question – have you explored living in Ecuador? Specifically, Quito, Otavalo, or Cotacachi? I went there last year and really enjoyed all 3 cities (actually, Otavalo and Cotacachi are much smaller, but quite nice nevertheless). Based on what I experienced, you could live like a King on $1500 a month. Actually, International Living says that $1100 is more than enough. I liked Ecuador much more than I did Panama (Boquete is nice, but not as nice as Quito in my opinion). I cannot imagine moving around that often – for me it’s terrifying. From my perspective, you and your SO are very brave and courageous to do so. I hope you’re learning a lot, and fulfilling your dreams :). I can see where this lifestyle might seem scary, although if you were sitting in this beautiful garden reading your favorite book it would not seem scary at all. I think some of the rides at Disneyland seem much more scary than what we’re doing. Whoa – this weblog is fantastic. I really like studying your posts. Keep up the great work! As you may know, many individuals are looking around for kind of info, so this could help them greatly. Thanks for liking my blog. I am now following yours…seems like we have a similar approach to life! Your comments “this is not a vacation”, and “live within your means” and DOWNSIZE are the keys. Do you mind me asking where in Mexico you are? You may answer me by private e-mail if you prefer. I hope we are able to provide a few helpful ideas and perhaps some inspiration until such time as you are ready to spread your wings. Thank you for commenting and following! Good for you for making such a bold move! Retiring in the US is getting harder and exploring other options takes guts, fortitude, and a sense of adventure. Look forward to following your story. It did not seem so bold to us to move abroad until I began to hear from so many people who told me they loved the idea but they could never make such a move themselves. Maybe we will start a new trend. Thank you for following and sharing your comments. Good stuff! Right up my alley! Expat living with a twist! Really great post! I’m currently living in Germany with my fiance for his career as a pro basketball player and it is not easy by any means for us to adjust to life overseas but it’s been an exciting challenge. I think we’re very ready to head home to the US soon as the season winds down but it is quite an amazing experience to live abroad & see the world. Glad to read how you can pick up and move to where ever works for you and your partner…thanks for sharing and good luck in your future travels! We have learned to appreciate things we took for granted living in the U.S. I miss good cutlery. My wife misses good pizza. Sometimes little things make a difference. Thank you for sharing your perspective on life abroad. The little things definitely do make a difference. And your welcome! Agreed that Europe has some affordable venues. In fact, we are planning to move to Scotland this summer and Spain next year. All the locations you mentioned are currently under consideration because, as Six Monthers, we are planning to move to a different country every six months. All good advice. It truly is a challenge convincing people that we can live as inexpensively as we will. And who knows: maybe someday soon we too will part with our storage locker. We are planning to travel solely on tourist visas, which means departing our destination countries within the 90 day limit, and then returning. Our touring of neighboring countries should fit right in with our relocation plans. Good luck with your travels and with eventually emptying your storage locker. Thank you for adding your comments, Tom. Wow! How inspirational. I am in the process of making many life changes and even though this isn’t something I can do right now it is definitely something I am interested in pursuing and planning in the future. I am pleased you find inspiration in the lifestyle we have chosen. Thank you for sharing your comments and good luck with the changes you are making. What a WONDERFUL plan! I’m so glad you are blogging about your lifestyle. This would be a dream come true for my husband and me, except for one thing. We have 6 children. Three are in their 20’s and the other three are still being homeschooled. If we had the income, we’d love to homeschool by traveling around the world, but that would take considerably more. Here’s my question, how do you do with not having family or established friends around? I would miss my children far too much to actually live this way. Oh, and thank you for stopping by my blog. I’ll be following yours now to hear of your adventures. Maybe with a little adjustment, we could afford a vacation with the family some day. Your question comes up often in our interactions with people. I think mothers are frequently more connected to their children than us fathers due to the amount of time we are out of the house with our jobs. That was true with my father, and it was true with my children. My daughters are now 27 and 32, respectively, and honestly, I did not see them much more when I was within 200 miles of them than I do now. In fact, I think they appreciate more the time we spend together once or twice each year than they used to, perhaps because I now travel thousands of miles to see them. My wife had never married before we met, so there are no children on her side of the family – just nieces and nephews. She has always been Crazy Auntie Flo. When she talks with family members they never asked, “How are your?” It was always, “Where are you?” Now my grandson calls me Travelin’ Matt, named after the Jim Henson muppet character on the show Fraggle Rock, the character that left The Rock to travel among humans and who sent postcards from all the strange places in our world. No question I miss my family, which is why we rely on Skype and a good internet connection. I now read to my grandson via Skype a couple evenings each week because I am the “Storytelling Grandpa,” a designation I am rather pleased with. I also communicate with friends via Facebook. However, the new friends we make are also dear and special to us, and we meet many people with amazing stories of their own to share. That, I suppose, is one of the most special aspects of travel. Plus, both my wife and I are hooked on the adventure and the excitement of exploring places we have never been. I followed my father’s example by retiring early so I could see as much of the world as possible in the time I have. Perhaps one day my children and grandchildren will also seek to travel. We find the experience makes us humble. Thanks for stopping by my blog– I found yours because of it. I have lived as an expat twice already, and I love the idea of moving every six months. I have a 2-year-old, so it will be a while until that is a realistic possibility, but I think the best decision I ever made was marrying someone with a compatible level of wanderlust. Agreed – living abroad can be fine for a child, but moving frequently would be difficult. Our cousins have two little boys living in Hong Kong, and the boys love it. Thank your for sharing your comments. Thanks for liking my post! This is a great blog, I’m glad I checked it out. I’ve travelled some too and found some other good ways are to do something through WWOOF and HelpeXchange. I’m not sure if you’ve heard of these organizations at all but basically they allow you to, usually, work on a farm with a range of responsibilities from actual farming to building to babysitting. In exchange, the host family gives you lodging and food for free. 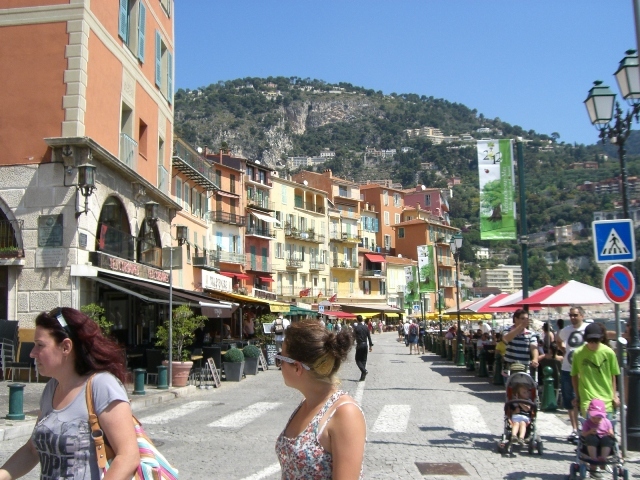 I did it in Corsica, France for 3 weeks and only spent $300 while getting a great bed and amazing fresh French wine, cheese, bread and other food every day! You can often find places that will let you do it for 6 months or you can pick a couple different ones instead and do shorter stays. Excellent information for traveling and living abroad on a budget! Thank you for providing some details. If I were younger and stronger, I might be a good candidate for a program such as this. At the very least I would be likely to meet a young and energetic group. Provocative blog. Thanks for taking a look at mine. Nice post. Sounds like you have a great lifestyle. Are you aware of the book “Your Money or Your Life” by Joe Dominguez and Vicki Robin. Following their techniques for the last 8 years we’re down to about $250 (Australian) per month and have been as low as $150 (NZD) per month for a prolonged period. Happier too. We do a lot of bartering, of course. If you’re interested, there’s a free to download interpretation of their method on my blog. And also, thanks for liking my post about hitching. hmm…relatively low impact, but still: it’s not sustainable. On the travel front…I’m no longer sure that’s a good idea, especially if it involves planes and cars. I guess hitch hiking is OK, but I’m arriving at a place where I can’t justify burning petrol to travel. That said, we bought a car a few months ago that we’re using for occasional local journeys, but I suspect it’s days are numbered. I’d forgotten what I do when I have a car: accumulate “stuff”. However, if I’m only going to walk, cycle or hitch, it makes a journey of more than a few kms a major undertaking…a different sort of travel, I suppose; one that’s more localised. Thanks for the added comments, Chris. Good luck. When folks learn that we have only one car, they seem quite surprised. When we say that we walk to many places, they seem incredulous. We also remind them that buses and trains provide service to many places one needs to go. Good points, Douglas. We use taxis a lot. I paid 60 cents to return from the grocery store with my weekly load when we were in Boquete, Panama. In Mexico, a similar taxi ride costs about $3.00. That is nothing compared to a tank of gas (now about $50 a tank), insurance, maintenance, and licensing. A car is a real luxury. Maybe if we lived in one place for a long time it would make sense. Certainly, that is not the case with our Six Monther lifestyle. Thanks for liking my posts! Am enjoying yours, as well. Thank you for the ping! And nice to connect with a fellow Dawg.